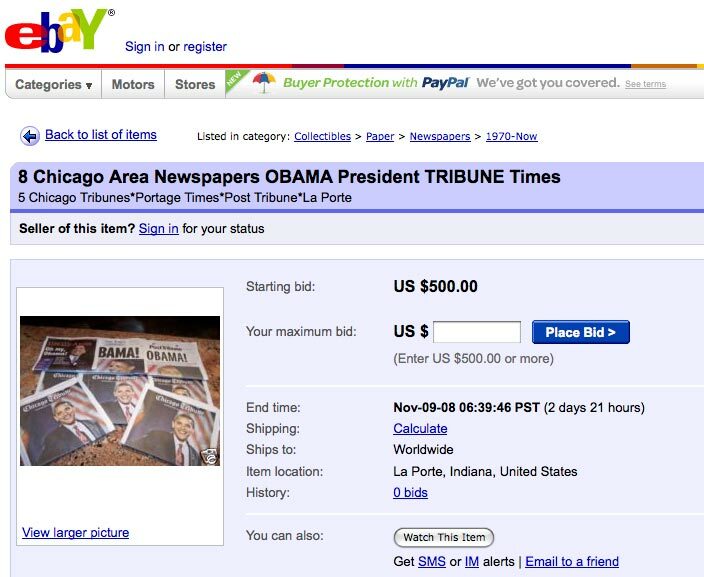 Following reports that the print editions of certain US newspapers sold out after Barack Obama was declared President elect, some ‘collector’s copies’ have appeared on eBay. 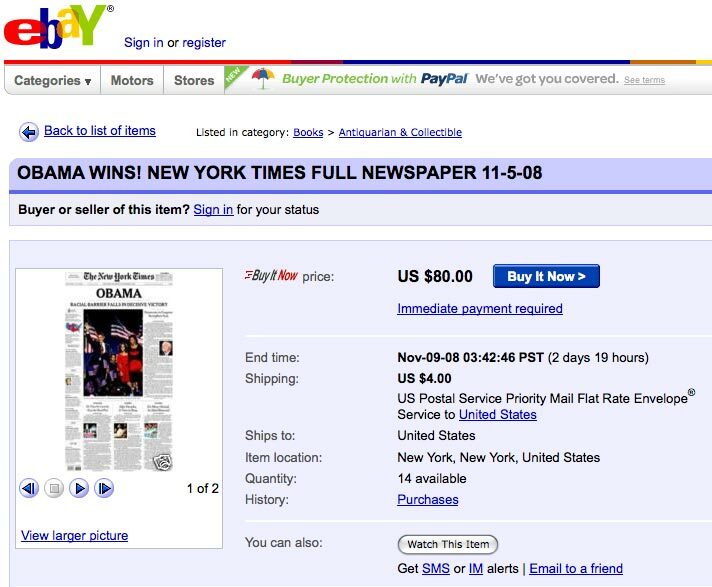 How about $80 for this edition of the New York Times from yesterday? You get a ‘resealable plastic envelope’ too. A new online revenue stream for the traditional printed paper perhaps? This entry was posted in Newspapers and tagged Barack Obama, Chicago, collector, eBay, online revenue stream, President, the New York Times, The Times, United States, USD on November 6, 2008 by Laura Oliver. Pingback: Some links while I gather my thoughts « Subbed Out?